It was Friday 25th April 2014, when i competed in the last race of the Giant Duathlon Series – Race 9. The series started in October 2013 and has been very successful in terms of safety, fun and everything else. Thanks to the series director Andy Fordham and the major sponsor Giant – Ride Bike Shop. The race was a 2.5km run, 24km bike and 2.5km run. 38 competitors took part in the race with 9 competitors in my age group (30-39). Race started on time, 6 on the dots and we all set off. The race plan was to do the first run nice and steady, go hard on the bike and give it all in the last run with very fast transitions in between. 40 seconds in T2 and i was exiting to the second run. The lady was so fast and strong in the second run and she created a good gap that was so hard to be closed. The guy was also a strong runner ( i have learned after the race) but it was obvious that he has some knee issues as his style was declaring but still he was maintaining a good pace. I tried my best to go past him but the too much effort on the bike got me and i decided to concentrate on not going below 6min/km pace and not getting anyone to go past me. The guys behind me were not close enough to let me worry, however i was willing to sprint if someone got closer as they seemed to be in my age group. The finish line was getting closer and closer and I finished the race feeling really strong and happy with the amount of effort i put in, especially on the bike. 1 hour 15 minutes was my overall time, 15 minutes behind the leader. Standing at the finish line and seeing so many other competitors finishing made me realize that i have done a great job and that i was not far below in the charts. 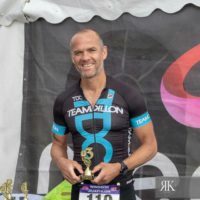 It was not until i got home when the results were uploaded to the website and i saw what really made my day and the whole weekend, i won the 30-39 age group category and was 13th overall. Wohoo my first win ever. What a great way to end my first triathlon season. So happy with what i have achieved and looking forward for more. 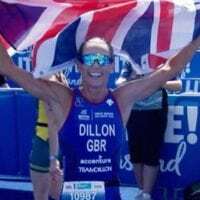 Special thanks goes to my Coach Annie Emmerson of Team Dillon Coaching (www.teamdilloncoaching.dev). 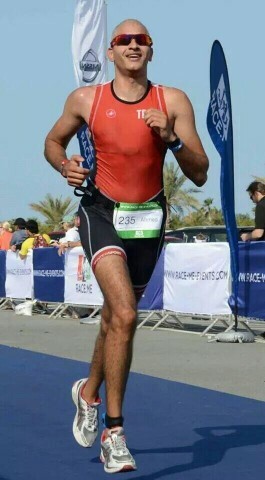 I started with TDC 6 weeks ago after Abu dhabi international triathlon And I think the results speak for themselves. 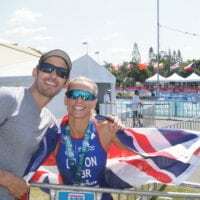 Annie is very smart (off course being the world number one duathlete in 2005 and winning so many medals for England in triathlon) and her approach is very dynamic and accommodates my busy schedule. She knows how to design a plan with the right volume and intensity that allows for fast recoveries and peak performance. Michelle Dillon the founder of TDC, as a 2 time olympian, world and European champion, is also there to answer any question and give advise. She follows up on race results and appreciates every single development no matter how small it is. After six weeks I feel nothing but stronger, better and very well looked after.